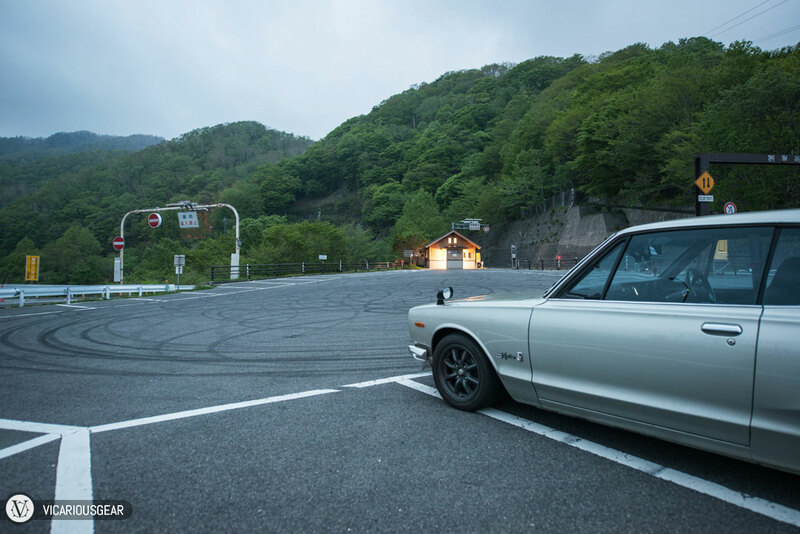 For my next installment of the Initial D expedition that I did in the Hakosuka, I’d like to skip forward to one of my favorite stops in Tochigi Prefecture. If you are ever in the area, I highly suggest stopping by Nikko area to take in the really ornate and beautiful shrines. 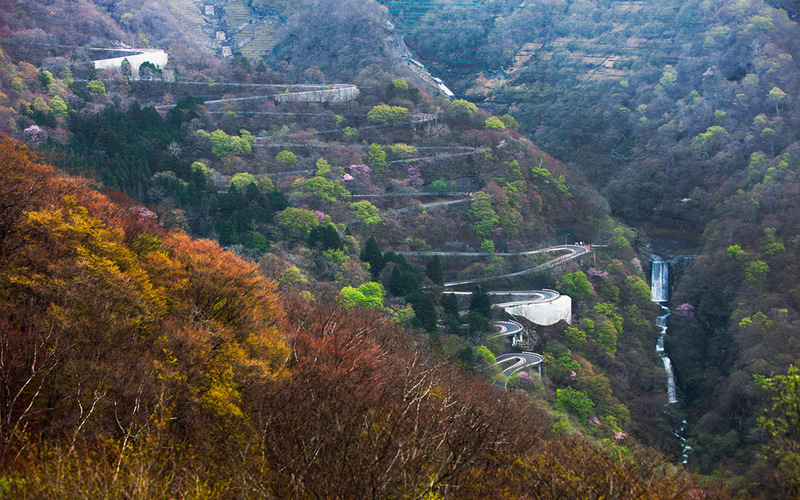 The Iroha Slope itself is a bit west of the typical tourist activity and right next to lake Chuzenji. 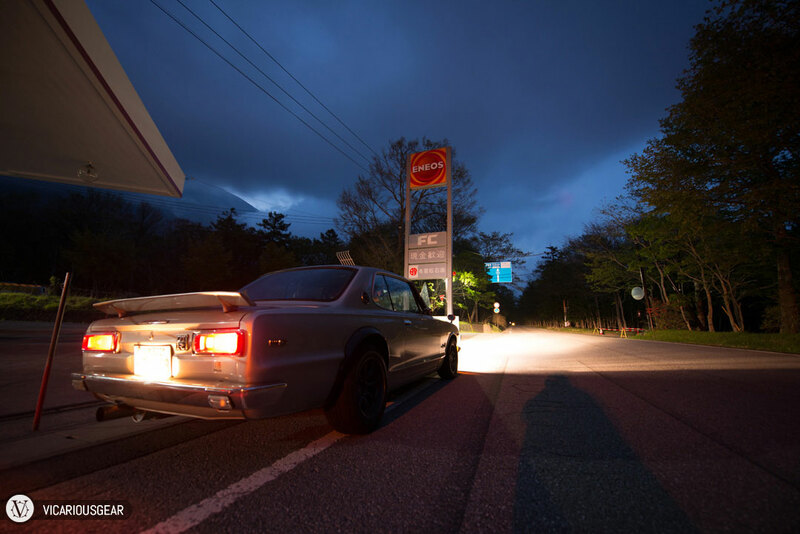 By the time I had finished all my stops in Gunma and made it out to Tochigi it was almost completely dark in the area. 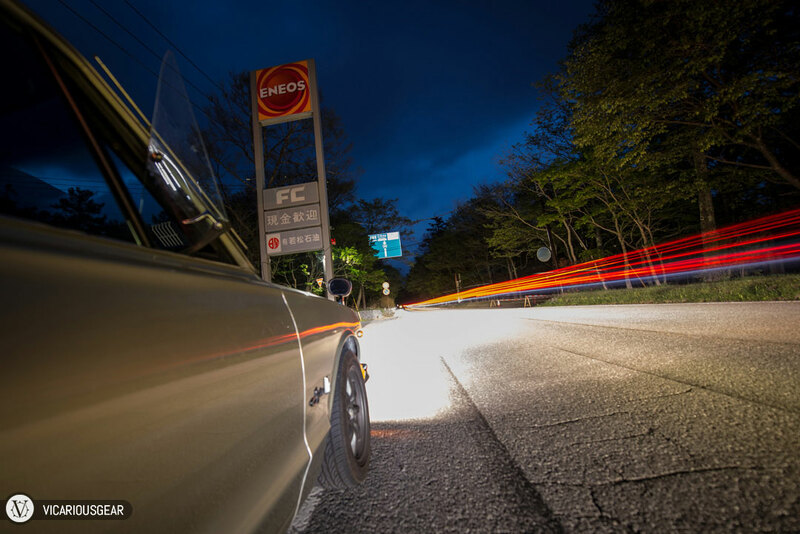 Fortunately, I brought along my tripod so I could still capture some of the iconic landmarks highlighted in Initial D. The darkness accentuated the extreme nature of the downhill since the course is not lit at night. You can’t see the other side of the thin hairpin turns as you enter and there are deer in the area. I would definitely love to go back for another spin when there is light out. 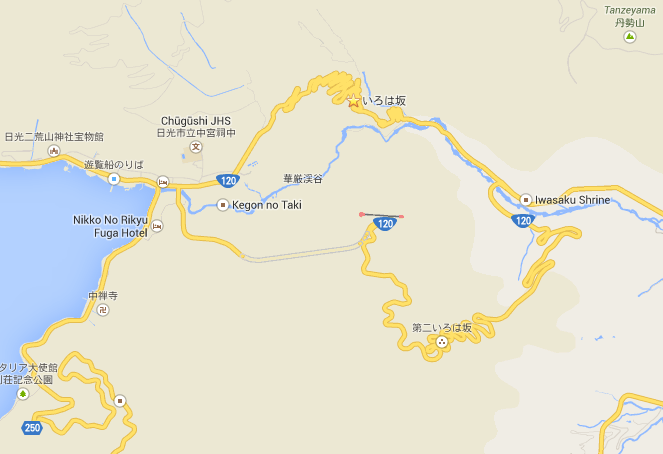 A map of the area showing the curvy uphill and the separate downhill that is jam-packed with hairpin turns. The star denotes the starting location in the anime. 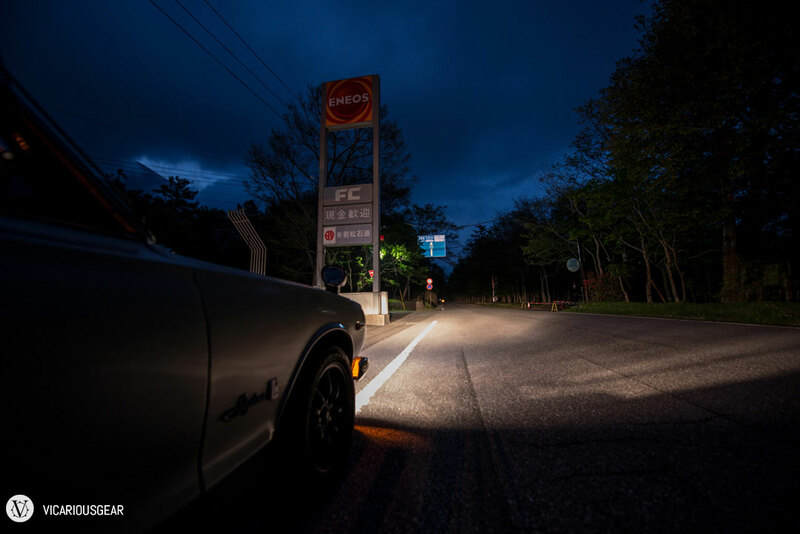 When I reached the entry to the uphill, there was still a little light left in the sky. This exposure still took 3 seconds though. After making it through the circular uphill curves, I arrived at the first landmark. The “Panorama Rest House” and this parking lot was being used by team Emperor as an observation point when Takumi first appeared to challenge Kyoichi Sudo. This and the previous picture might make it look bright out but the only light was from this rest house in the background. I had to use my tripod and pretty long exposures to see anything. After looping around, I finally came upon the starting point from some of the races. The scene looked exactly as in the anime. This final shot gives you an idea of how dark it was on the course with no lighting. 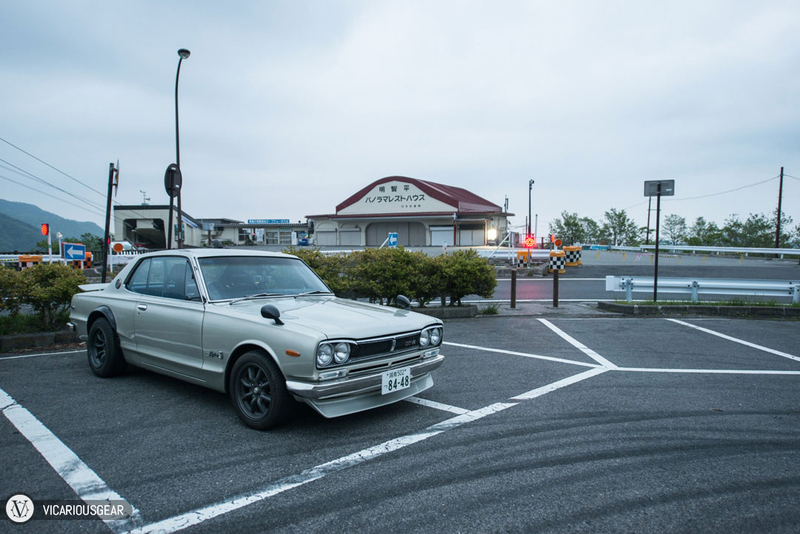 Fortunately the headlights on the Skyline aren’t too weak for 45-year-old vehicle. ← Manga t-shirts are now available online!